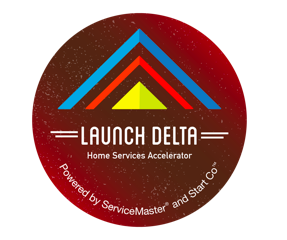 The Launch Delta Home Services Accelerator, powered by ServiceMaster and Start Co., accelerates technology-based startup companies working to disrupt or replace existing home services technologies. Whether it’s mining IoT and smart home data, conjuring new ideas for customer service platforms, developing new platforms for delivering service, or disrupting the supply chain that supports home services—all ideas are welcome. This accelerator is part of the Summer of Acceleration initiative for up to 8 teams, and led by four established partners: (1) Start Co., an established venture firm and accelerator, (2) Innova Memphis, an early-stage venture capital firm, (3) Hatcher+, an early-stage venture capital firm seeking to expand its portfolio into home services technology, and (4) ServiceMaster, a Fortune 1000 company that touches 75,000 homes and businesses every day with essential services.